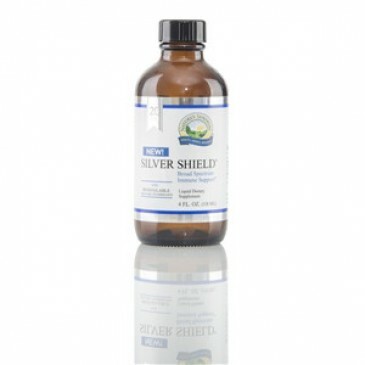 NSP Silver Shield with Aqua Sol Technology is processed by the kidneys and may not affect populations of beneficial bacteria in the colon. 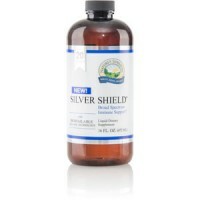 NSP Silver Shield is a safe and effective product. It is manufactured using a patented process with strict quality control to verify potency and purity. The result is fine, particle-sized colloids with 99% bioavailability. 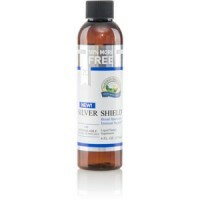 Silver (a specially processed colloidal silver). Take 1 teaspoonful with a meal three times daily. 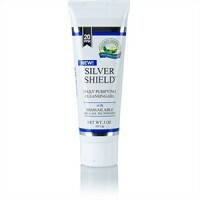 NSP's Silver Shield is gentle enough for application to the eyes, ears and nasal passages. Do not mix with salt or salty liquids.